References to “you” or “your” means you, the person or entity who is accessing or viewing this website, and references to “we“, “us“, “our“, “Li & Fung” or “Li & Fung Limited” means Li & Fung Limited and each of its affiliates, subsidiaries and parent companies. All information contained on this website is intended for reference only. Li & Fung Limited does not guarantee the truth, accuracy, completeness or timeliness of the information, and accepts no liability (whether in tort, contract or otherwise) for any loss or damage howsoever arising from or in reliance on the content of this website. Although this website includes links to other third-party websites, Li & Fung Limited has not participated in the development of those other sites and does not monitor or exert any editorial or other control over those websites. Access to and use of such other websites is at the user’s own risk. Li & Fung Limited is not responsible for and makes no representations or warranties with regard to such other websites, or any content or information contained in those websites. Links to and from this website do not constitute an endorsement or recommendation by Li & Fung Limited of the third parties or their products/services. Li & Fung Limited does not warrant the security of any information which may be provided to any third party and is not responsible for any loss or damage suffered as a result of any access to or interaction with any other websites via this website. This website is provided “as is” and “as available”. To the fullest extent permitted by law, Li & Fung Limited expressly excludes any warranty or representation of any kind, either express or implied, including but not limited to any implied warranties or implied terms of merchantability, satisfactory quality, fitness for purpose or non-infringement. Without prejudice to the foregoing, Li & Fung Limited does not warrant that the operation of this website will be uninterrupted, secure or error free or that this website will be free from any viruses, worms or any other anomalies. All Intellectual Property Rights in this website and the Website Content belong to Li & Fung Limited. You have no right to use any of our (or our licensors) trade names, trade marks, service marks, logos, copyright, domain names or any other Intellectual Property Rights. You may not distribute, modify, transmit, copy or use any Website Content in any manner for public or commercial purposes without prior written permission from Li & Fung Limited. The products, technology or processes described on this website may be the subject of other Intellectual Property Rights owned by Li & Fung Limited or by other third parties. No licence is granted to you in respect of those Intellectual Property Rights. Without prejudice to the rest of this Clause 4, all marks which are identified with the symbol ® or ™ are trade or service marks belonging to and used by Li & Fung Limited. Use of such marks is prohibited without the prior written consent of Li & Fung Limited. When Li & Fung collects information from you, its policy is to comply fully with the requirements of the Personal Data (Privacy) Ordinance (the “PDPO“) which regulates in Hong Kong the treatment of personal data. Personal data is any information relating to any living individual from which it is possible to identify that individual. In dealing with personal data, Li & Fung will ensure its staff comply with the standards of security and confidentiality prescribed by law. This Privacy Statement shows Li & Fung’s commitment to protect your personal data and explains its practice in relation to the collection, retention, storage and sharing of personal data. Li & Fung will occasionally collect personal data from you which will be processed for the specific purpose given at the time of collection, or for any purpose stated in this Privacy Statement. Such purposes may include fulfillment of your specific requests or applications relating to Li & Fung’s services, jobs, etc., the processing of your complaints, enquiries or feedback, or the identification and verification of you as a user. The provision of personal data or any information is voluntary. However, if you do not supply all information requested by Li & Fung, this may result in Li & Fung being unable to process your requests fully or at all. 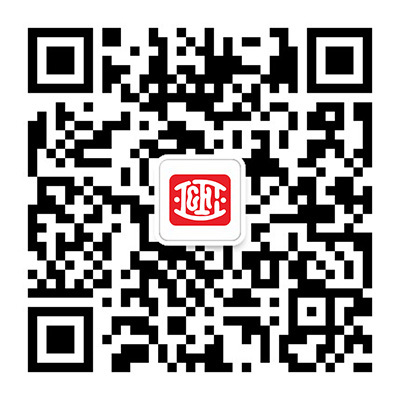 Li & Fung shall make a record of your visit to this website. The record will show the domain name server address and details of the pages visited. Li & Fung only collects aggregate information about the number and types of visitors by reference to their domain name server address. This information is used by Li & Fung to prepare general statistics on the usage of this website and may also be disclosed by Li & Fung to any court or regulatory authority or Li & Fung’s legal advisers in the case of any unlawful use of the website. Where personal data is stored electronically, it will be kept in a password-protected form. Personal data, whether stored in electronic form on computers or in hard-copy form, will be accessible only by authorised officers or employees of Li & Fung. Persons designated by Li & Fung to handle personal data will comply with this Privacy Statement and/or any other relevant obligations under the PDPO, and told how to fulfil Li & Fung’s obligations to you. Any personal data Li & Fung receives from you will not be disclosed to any third party except as provided in this Disclaimer and Privacy Statement, as notified to you at the time of collection, or with your prior consent. any person to whom Li & Fung is required to make disclosure under any law applicable in or outside Hong Kong. Personal information you provide to Li & Fung will be retained only for such period as may be necessary for the carrying out of the purposes referred to in this Privacy Statement or as otherwise specified at the time of collection. You have the right to request access to and (if appropriate) correction of personal data held by Li & Fung about you. If you wish to exercise this right, please contact our Human Resources Manager by sending an e-mail to career@lifung.com.hk or write to 2nd Floor, Hong Kong Spinners Industrial Building Phase 1&2, 800 Cheung Sha Wan Road, Kowloon, Hong Kong (marked confidential, and for the attention of the Human Resources Manager).